GET YOUR BEST DEAL FROM MID-OHIO POWERSPORTS ON THIS 2019 CB300RK, MSRP $4649 PLUS $199 DOC FEE, TAX AND TITLE. COMPETITIVE PRICES AND NO PREP CHARGES! YOUR NEXT GREAT RIDE STARTS AT MID-OHIO POWERSPORTS!!! THE SPORT ROADSTER, PERFECTED. 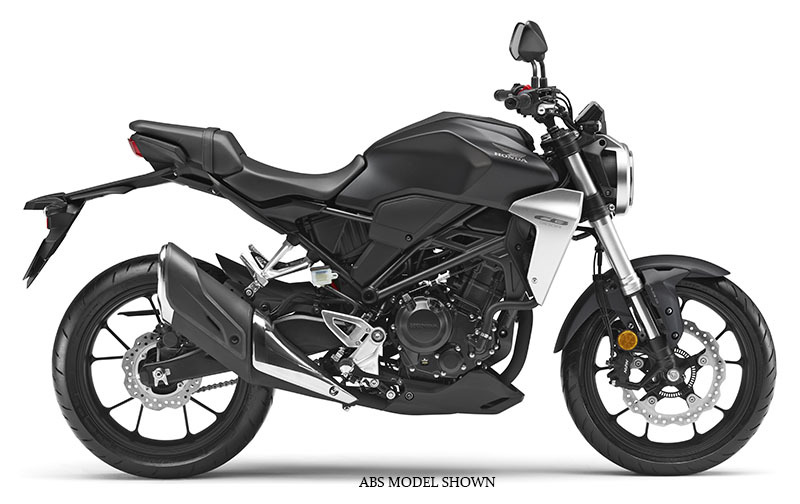 Introducing the latest member of our sportbike family: the all-new 2019 CB300R. And along with it, we’re embracing a concept that’s long been one of motorcycling’s best-kept secrets: the lightweight sport roadster. Light, nimble, and most of all a blast to ride, the CB300R is full of innovative engineering to make riding fun. Best of all, it offers the kind of refinement and quality—including available ABS—that you only get from a Honda. Ride it and see!